Club meetings were held in various homes and halls until the club settled down to meet regularly at the Leederville Town Hall. In January 1995 the club moved to the Lesser Hall of the South Perth Civic Centre. More recently it has relocated to the Collins Street Centre in South Perth where it holds its regular meeting on the last Monday of each month. The Club holds an annual exhibition of Bonsai, and other shows, exhibitions and community events are held throughout the year at various venues. 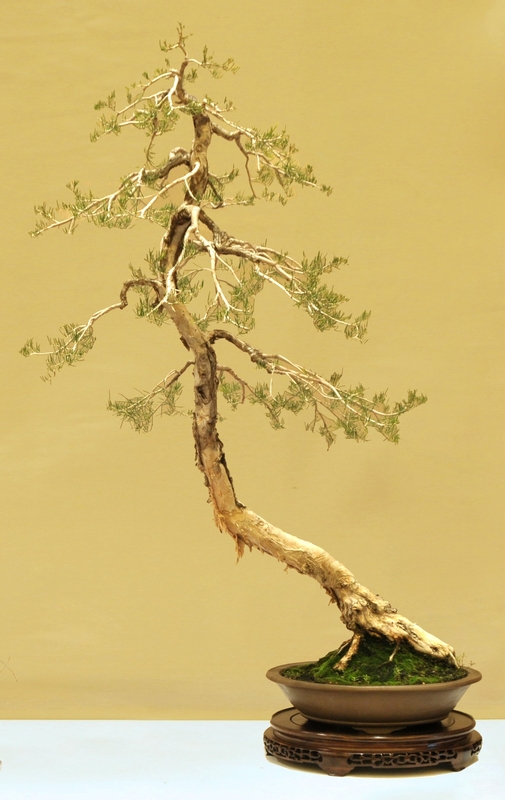 The Bonsai Society of WA was incorporated in 1989 and has over the years been visited by many National and International Bonsai artists who have helped the members to improve and develop their skills in the art of Bonsai. In 1996 the Club celebrated its 20th anniversary with a weekend of Bonsai demonstrations, workshops and a public display held at the Orchard Hotel in Perth. These 3 days of intense Bonsai activity was called “Celebration 20” and featured a Japanese Bonsai expert Mr Hirotoshi Saito. In 2001 the Club hosted the AABC National Bonsai convention at the Esplanade Hotel in Fremantle, this event also celebrated the 25th anniversary of the Bonsai Society in WA with US Bonsai expert Mr Ernie Kuo as the event headliner. The club has received support for our art from CANWA and for promoting a healthy lifestyle from Healthways WA, and has been bringing in national and international experts in Bonsai who have taught both beginners and experienced members how to create, improve and maintain their Bonsai. This was highlighted in 2011 when the Bonsai Society of WA hosted the 2011 AABC National Convention “Come Together” with Mr Min Hsuan Lo from Taiwan, Megumi Bennett from Sydney and Japanese Bonseki master Yasuko Aoki Demonstrating for the participants. 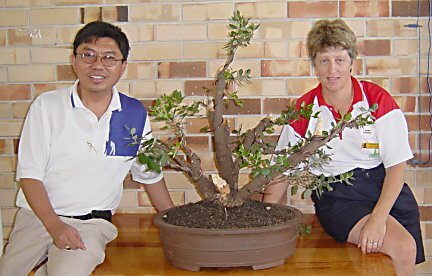 This show was recognised by Mr Lo as of international standards, and was recognised as being the best display of Native Australian Bonsai to have been seen anywhere.